On our right side, gada and trishul dhari Maa Chandraghanta is blessing us riding on Lioness. Navratri mela is most famous and largest activity of the temple. Maa Shailputri and Maa Brahmacharini in first Mandapam from right side row. 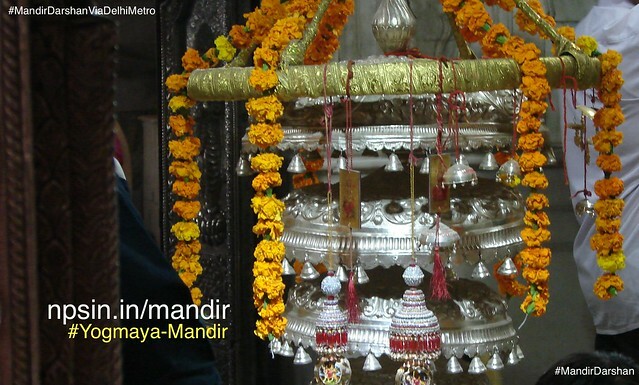 Maa Mahagauri and Maa Siddhidatri sharing same mandapam. 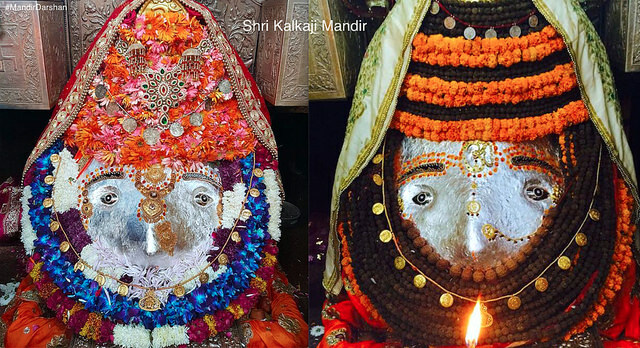 Maa Kushmanda and Maa Kalratri last most mandap of right sided spiritual corridor. 3D wall texture, Trishul Dhari Lord Shiv with white Nandi at the rightmost wall of prarthana Hall. Shri Jagannath dham having Bhai Shri Balram, Bahin Subhadra and Lord Shri Krishn at the end of seconds portion of Temple. Maa Durga at the center of Shri Sanaran Dharm Mandir. Beautiful unique combination of Fruits Bhog, Bhagwan, Akhand Jyoti and Maa ki shingh sawari all are in single frame. on Navratri, devotees enjoy bhajan, kirtan till midnight. Satvik food also available during this mela for all nine days. Few activities like gun shooting... and few toys shop also be available. 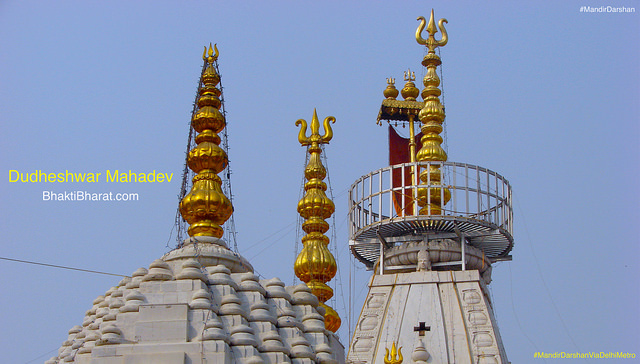 Main attraction and shining period of this temple is Navratri. Temple decorat with different lights and a mela Organized by mandir. Temple main shikhar is visible while traveling between Karkardooma to Anand Vihar metro station. 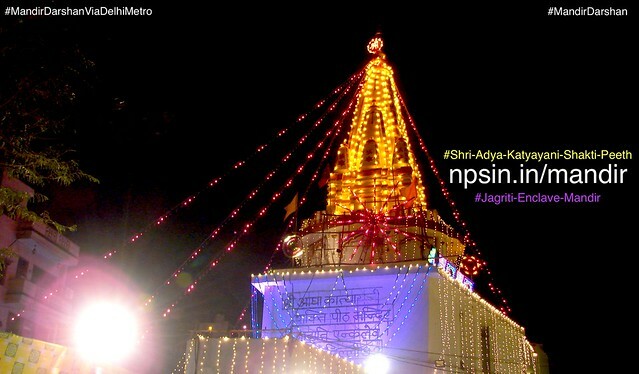 Combination of two temples Shri Sanatan Dharm Mandir and Shri Adya Katyayani Shakti Peeth Mandir in Jadriti Enclave New Delhi.